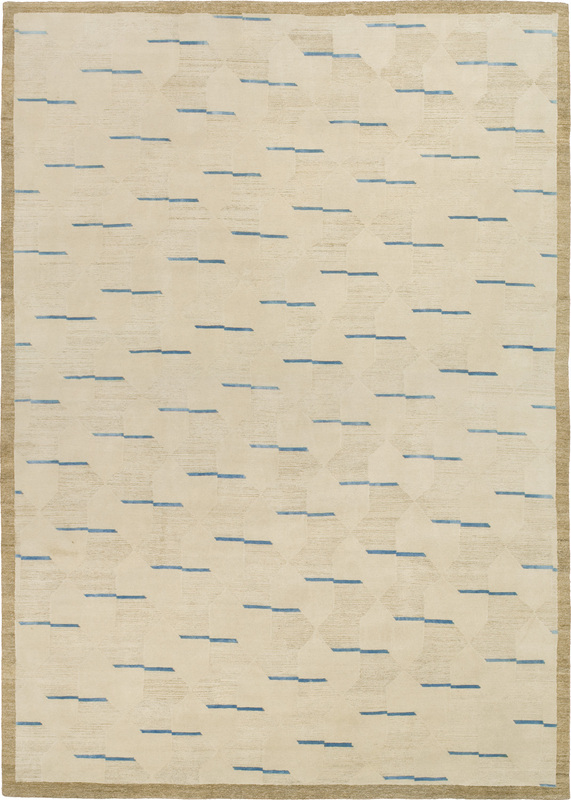 This newly hand-woven ‘Bow-Tie' rug is composed of Tibetan Wool+Silk & Nettle Plant Fiber which attributes an amazing all over geometric pattern. With it's 'Stinging' Nettle all around looped border flowing into the design elements, crossing paths to a blend of Wool and Silk cut-pile technique gives the motifs a second dimension. This wonderful preference of silk accents is completley optional but we love this warmth and life it brings to the picture.